The new thriller from renowned British theatre director Trevor Nunn, Red Joan sees Judi Dench take on a rewardingly complex role as a retired physicist who is revealed, late in life, to be a long-serving spy for the former Russian KGB. 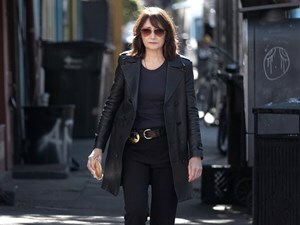 Adapted by Lindsay Shapiro from the bestselling novel by Jennie Rooney and inspired by the life of British KGB agent Melita Norwood (known as the ‘granny spy’ when she was unmasked in the late 90s), the film follows Joan Stanley, a seemingly unremarkable and inconspicuous retiree who, in 2000, is living in a London suburb when she is arrested and charged with providing intelligence to Russia during the Cold War. 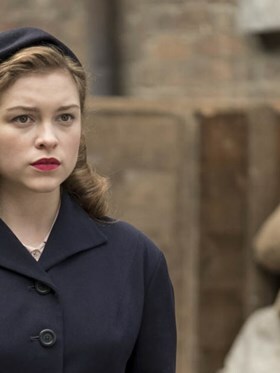 Flashing back to 1938, we revisit Joan’s younger self (played by Sophie Cookson). While studying physics at Cambridge she falls for young socialist firebrand Leo (Tom Hughes) and becomes more and more politicised before making the eventual, difficult decision to work with the Soviets and betray British atomic secrets.